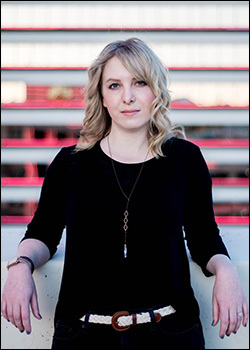 AnnElise Hatjakes holds an MFA degree in fiction from the University of Nevada, Reno. One of her stories was shortlisted for the Neil Shepard Prize in Fiction, and the first chapter of her novel was featured in Drunk Monkeys. She lives in Reno with her husband and teaches at a school for gifted students. She is currently completing revisions on her satirical novel. Read more at www.annelisehatjakes.com.